JNU Eligibility Criteria 2019 – Jawaharlal Nehru University had released the JNU 2019 eligibility criteria for admissions in its undergraduate and postgraduate programmes. The eligibility criteria of JNU 2019 states the minimum eligibility required by a candidates to apply for a particular subject. Jawaharlal Nehru University will conduct JNUEE in collaboration with NTA (National Testing Agency) as part of the admission to the various Undergraduate and Postgraduate programmes offered by the university. The University offers programmes in the Arts, Science and social Science streams. Candidates who wish to seek admission to the different programmes must check the JNU eligibility criteria 2019. 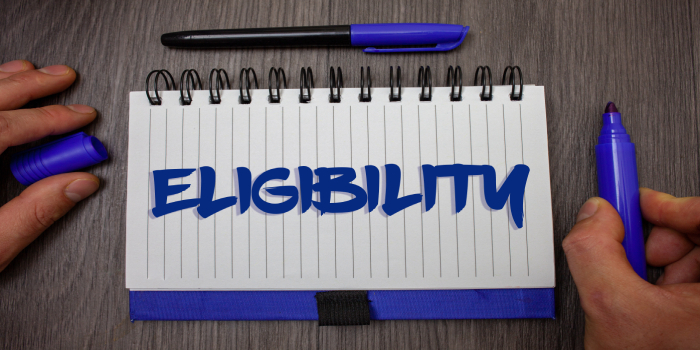 Applicants must also remember that if they are found ineligible for the programme as per the mentioned JNU 2019 eligibility criteria, their application will be rejected. Jawaharlal Nehru University will conduct the common entrance test for the different programmes from May 27 to May 30, 2019. Given below is the detailed eligibility criteria of JNU 2019. Jawaharlal Nehru University had released the JNU 2019 Admission forms on Mach 15, 2019. The registration process was closed on April 18, 2019. Candidates can check the eligibility criteria given below as per the different programmes offered by the university. Candidates should have completed Senior School Certificate (10+2) or equivalent examination with a minimum of 45 percent marks. The candidates who are due to appear in Senior School Certificate (10+2) or equivalent examination are eligible to apply. Candidates should have completed their graduation in any discipline under 10+2+3 education pattern with minimum 50 percent marks. Candidates should have a Bachelor Degree in Economics (H) with Mathematics as an additional subject. Candidates with a Bachelor degree in Mathematics (H) with Economics as an additional subject or bachelor degree in Statistics (H) with Mathematics and Economics as subsidiary subjects under 10+2+3 education pattern securing at least 50 percent marks aggregate are also eligible. For English and Linguistics, candidates must have an Undergraduate degree in any discipline under 10+2+3 education pattern with at least 50 percent marks in aggregate. For German, candidates must have a Bachelor’s Degree in any discipline under 10+2+3 education pattern securing at least 50 percent marks in aggregate with adequate proficiency in German language. For languages other than English, Linguistics and German, candidates should have a bachelor’s degree in any discipline under 10+2+3 education pattern securing at least 45 percent marks aggregate with adequate proficiency in the language programme concerned. For Geography and Sociology, candidates should have completed their Bachelor's Degree in any discipline under 10+2+3 academic pattern securing at least 45 percent marks in aggregate of all subjects. For Economics, candidates must have a Bachelor Degree in any discipline securing at least 50 percent marks aggregate, with knowledge of Mathematics at 10+2 level. For Political Science, candidates must have a Bachelor’s Degree in any discipline under 10+2+3 education pattern securing at least 50 percent marks in aggregate of Social Sciences subjects and at least 55 percent marks aggregate of Science & Technology subjects. For History and Development & Labour Studies, candidates need to have a Bachelor’s Degree in any discipline under 10+2+3 education pattern securing at least 50 percent marks in aggregate of the subjects. For Philosophy, Candidates must have a Bachelor's degree under 10+2+3 pattern of education minimum 50 percent marks in Social Sciences and Humanities. Candidates from the Science & Technology disciplines should have a minimum of 55 percent marks. Candidates must have a Bachelor Degree either B.Sc. /B.Tech or Equivalent in Biological/ Physical/ Agricultural Sciences or Biotechnology stream from any state or central recognised Institute/ University. Candidates must have obtained at least 55 percent marks in aggregate of all subjects. Candidates must have a Bachelor’s Degree in any branch of Basic or Applied Sciences under 10+2+3 education pattern from school/ Institute/ University as recognised at the state or national level. Candidates need to have secured at least 55 percent marks in aggregate of subjects of qualifying degree examination. Candidates must have a Bachelor’s Degree in any discipline under 10+2+3 education pattern from any state or Nationally recognised Institute or university. Candidates must be competent adequately with at least 55 percent marks at graduation level aggregate of all subjects. Candidates must have a Bachelor’s Degree with Physics as one of the subjects in any discipline under 10+2+3 education pattern securing at least 55 percent marks in aggregate. Candidates who have qualified Bachelor’s Degree either in Physics, Chemistry and Mathematics combined or in Physics Honours or with B.Tech in Electronics/Electrical/Mechanical/Computer are also eligible. Candidates must have a Bachelor’s Degree in any discipline under 10+2+3 academic pattern. Candidates need to have obtained minimum 50 percent marks to be eligible for admissions. Candidates must have a Bachelor’s Degree in Sanskrit or in any subject under 10+2+3 education pattern from any recognised Institute or University. Candidates should have a minimum of 45 percent marks for admissions to M.A in Sanskrit. After confirming the eligibility for the course of choice candidates can now move on to apply for the entrance examination. The application form for the different courses was available online in the official website of JNU. Candidates can check here the application form details. How to prepare for PG Geography in a month for the JNUEE ? Suggest me some sort of time table along with books. Your JNU Entrance Exam brochure has been successfully mailed to your registered email id .